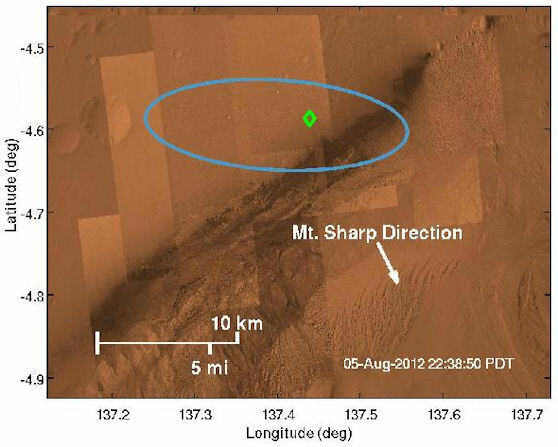 August 6, 2012: An image from the High Resolution Imaging Science Experiment (HiRISE) camera aboard NASA's Mars Reconnaissance orbiter captured the Curiosity rover still connected to its 51-foot-wide (almost 16 meter) parachute as it descended towards its landing site at Gale Crater. More images are coming. To find out what to expect, click here. 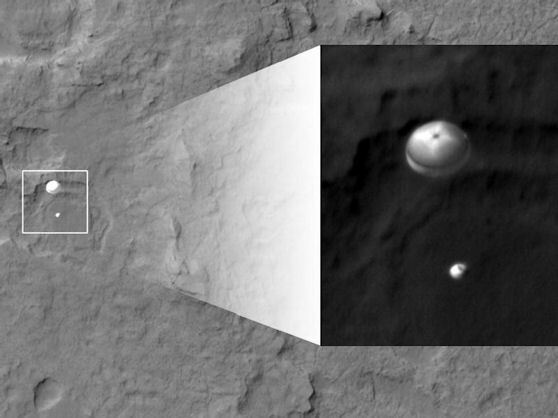 This mission is managed by JPL for NASA's Science Mission Directorate in Washington. The rover was designed, developed and assembled at JPL. JPL is a division of the California Institute of Technology in Pasadena.